1) It’s shortened nickname is St. Paddy’s Day NOT St. Patty’s Day. 2) It’s ONLY a public holiday in Ireland, Newfoundland, & Montserrat. 3) Eating corned beef and cabbage today is no big deal in Ireland… but Americans love it! 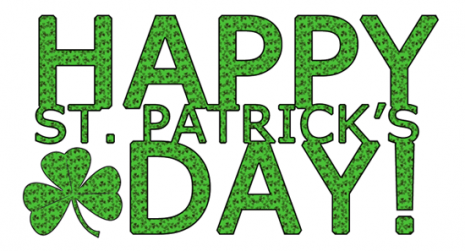 4) St. Patrick is believed to have been born in Wales or Scotland. 5) The color green was adopted ONLY after the Irish Rebellion, before that believe it or not it was BLUE. 6) The first St. Patrick’s Day parade was in the USA in 1737, not in Ireland, they didn’t have one until 1931. 7) St. Patrick was credited with banishing snakes from Ireland, truth is, there’s NEVER been snakes there. So, you might ask “What does this blog have to do with Key West and the Florida Keys?” Well, that’s easy “We’re Irish Too!” (that is, at least today we are) 🙂 And YES… that’s me in the photo below!